Halloween is purely a fun holiday. Fun to dress up. Fun to eat candy (and get that sugar high). 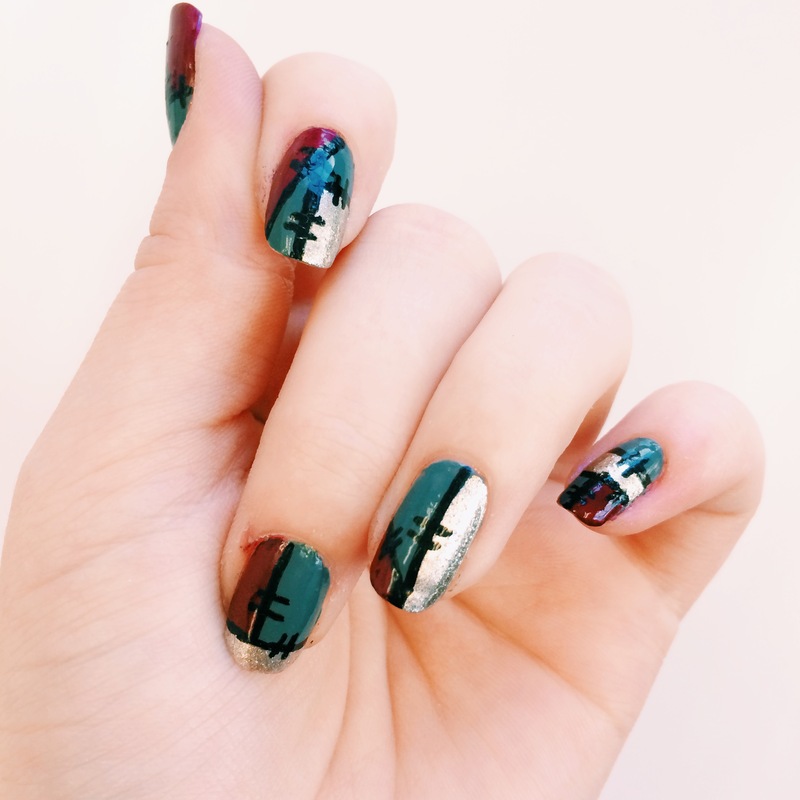 And of course, fun to dress up your NAILS! 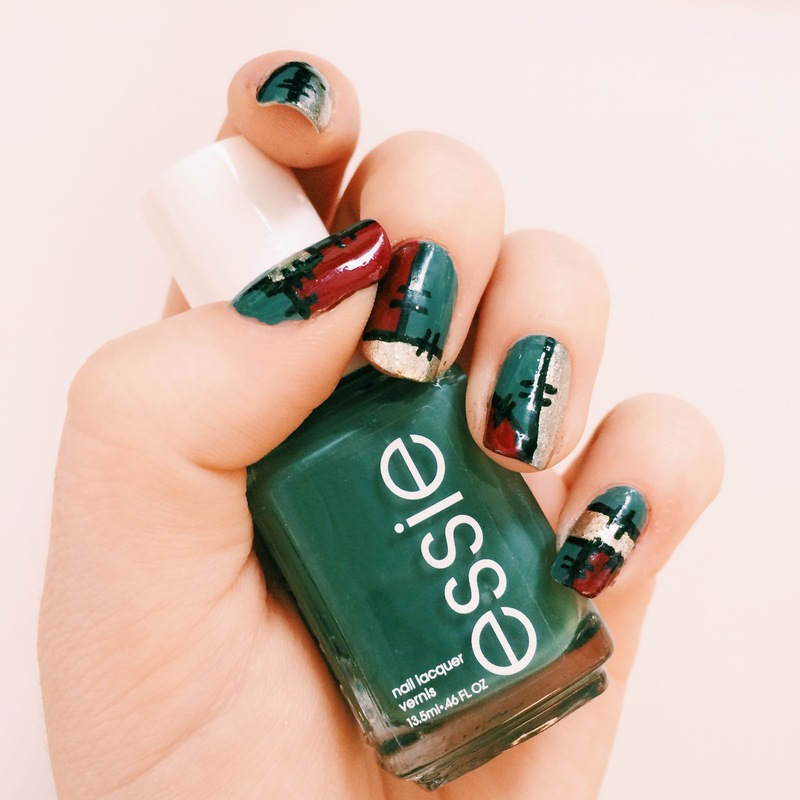 There are so many designs and colors and directions your spooky manis can go in. This year, I did two manicures inspired by All Hallows’ Eve. Candy corn and Halloween go hand in hand. I’ve seen so many white, orange and yellow striped manicures over the years, and I really wanted to come up with something a bit more unique. 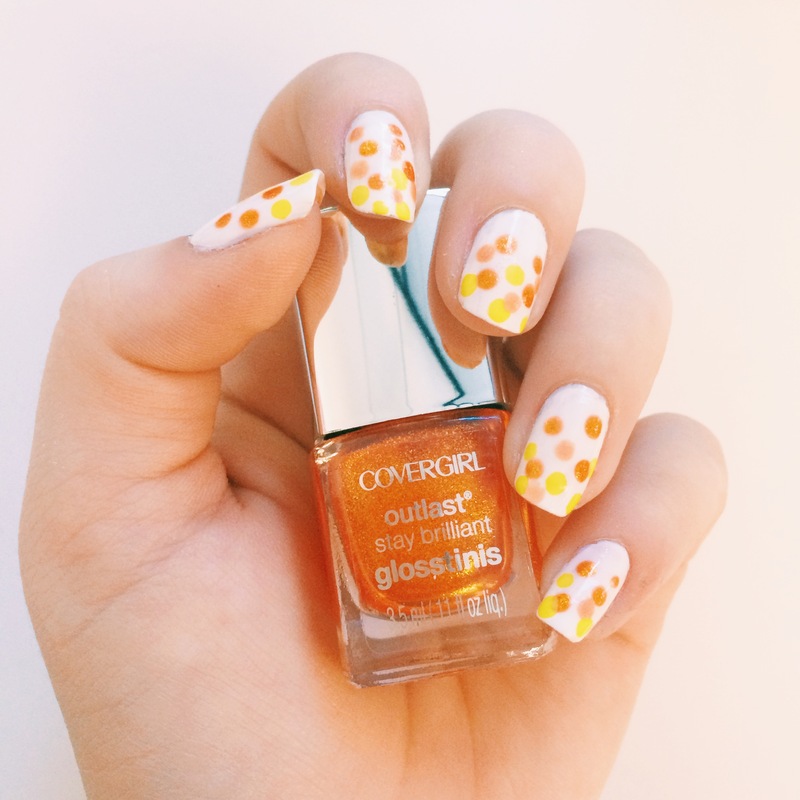 So you know what that means… POLKA DOTS! 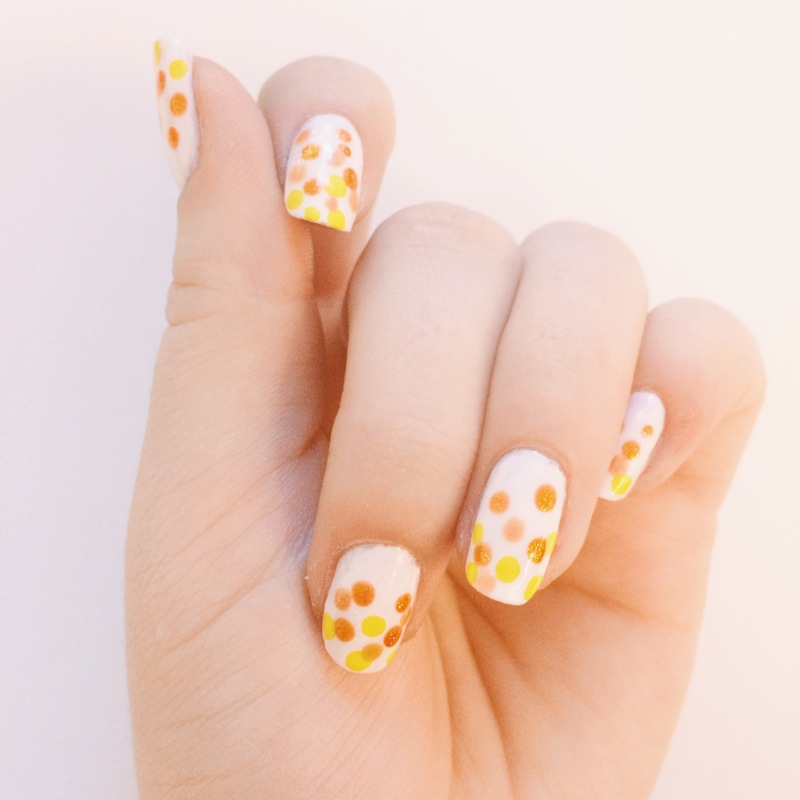 Classic white is the perfect base for an ombre yellow to orange polka dot design that feels candy corn but isn’t cheesy in-your-face, which is way more my style! Inspired by, not copy cat! 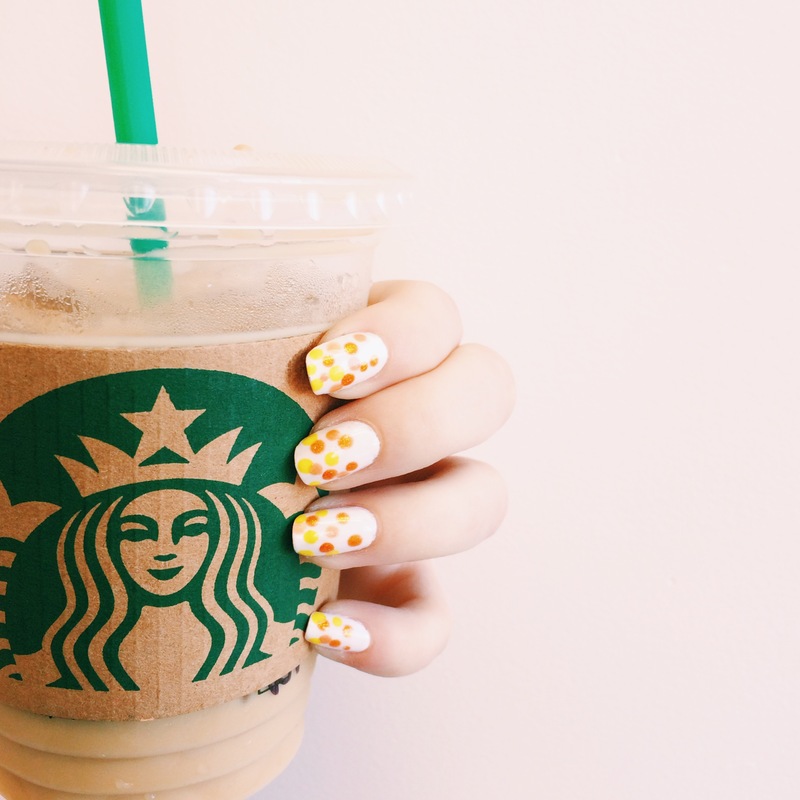 I was so drawn to a cute, flirty mani version of Frankie I saw last month, and couldn’t wait to do my own version. While it was so much fun, it was really difficult because of how thick the nail polish got by the end. Because of that, the nail pen would catch and get stuck, leaving the black lines a little bit uneven for my taste. In the end, though, I loved the color combo and overall feel of I achieved with the final look! 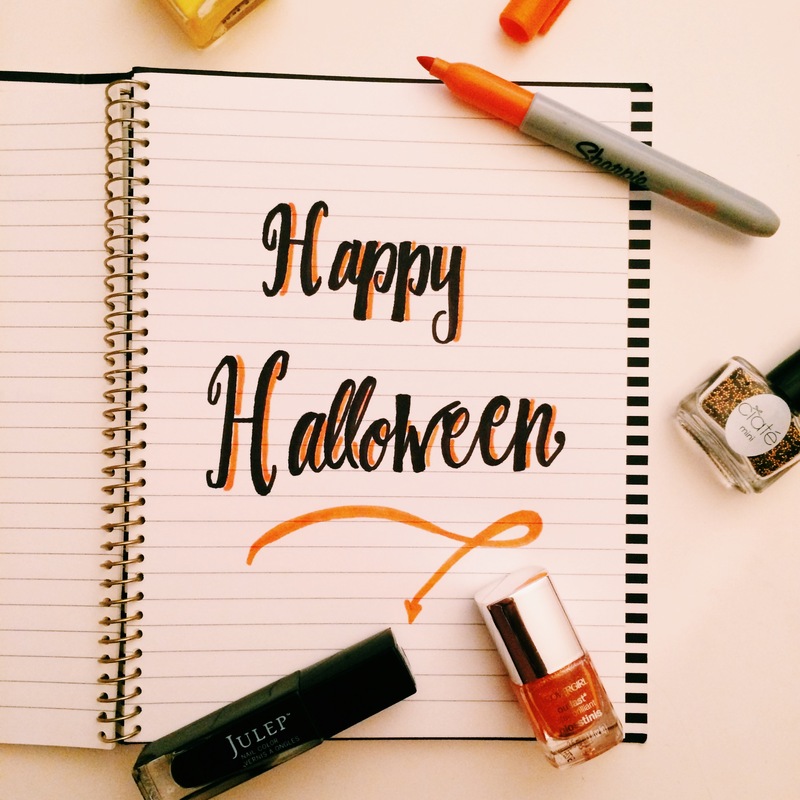 What were your nails dressed up as on Halloween this year? Happy Reading!